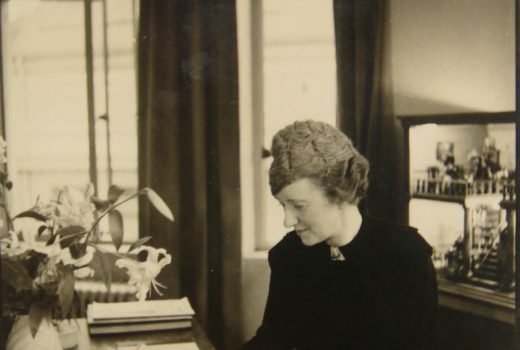 Alison Settle, Editor of Vogue, early 1930s. 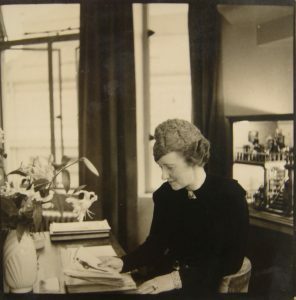 Handwritten note at the back of the photograph states: “Alison at her desk, Editor’s room, Vogue, with dolls house in background”. (courtesy of Alison Settle Archive, University of Brighton Design Archives). A few months ago my article on the diaries of Alison Settle was published in Fashion Theory. It felt like a great accomplishment, fulfilling an aspiration I had held since the completion of my dissertation on the great British journalist and editor of British Vogue. 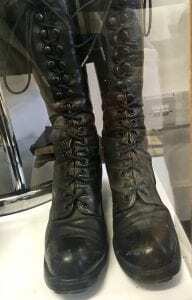 Today, Alison Settle is virtually unknown outside fashion circles, with no auto/biography or other literature about her life and her achievements in fashion journalism. Settle reported on “women’s topics” for over 50 years, mostly in British magazines and newspapers. 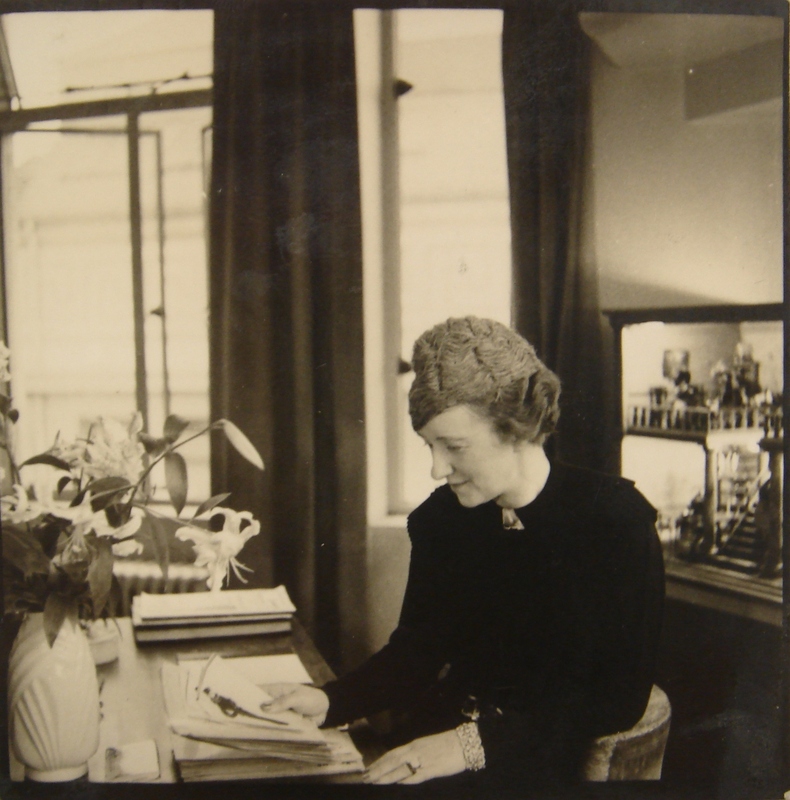 She was an advisor to the British textile and retail industries, and was a member of government bodies tasked with improving post-war British design. 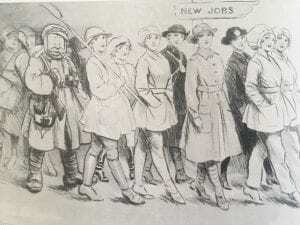 For nearly a decade between the Wars, Settle was also the editor of British Vogue, a position which required her to be actively involved with the smart set of London Society. 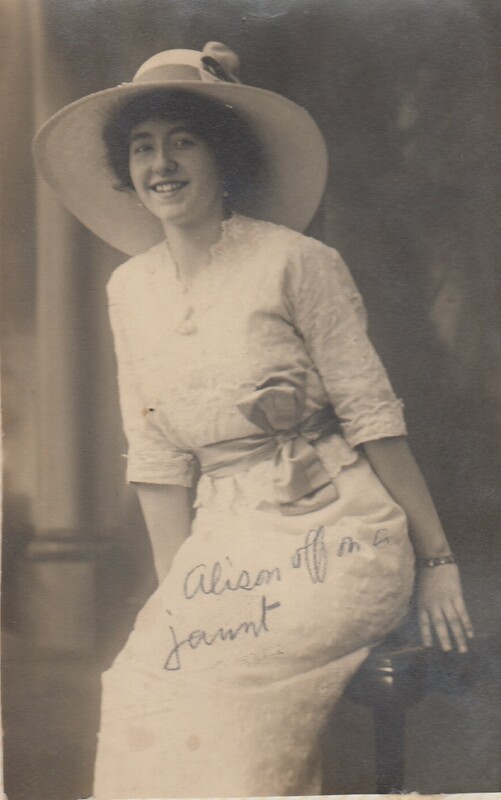 “Alison Off on a Jaunt,” 1915. Private photograph from the Charles Wakefield Private Archive. Permission obtained from Charles Wakefield. My dissertation focused on the personal diaries written by Settle in the early 1930s, during the last four years of her Vogue editorship. 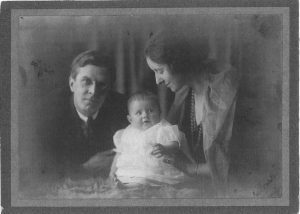 The diaries had been preserved and cared for by Settle’s descendants, particularly by her grandson Charles, who lives in Canada. Charles was incredibly supportive and generous in sharing material and information, and I corresponded frequently with him and established a friendly collaboration. 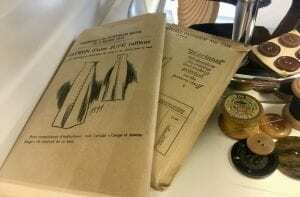 I also drew on material held in Settle’s collection at the University of Brighton Design Archives. 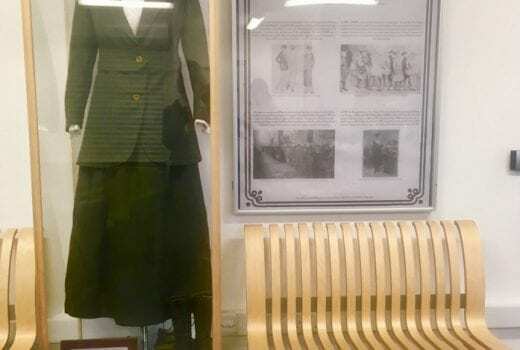 As my research progressed, I grew increasingly invested in making Alison Settle’s name more widely known in the public domain – not only because her stature deserves recognition, but also because this would mean a lot to her family. Fashion Theory’s theoretical and critical approach to fashion has made it my favourite academic journal throughout my studies in dress history. When my tutor, Professor Lou Taylor, mentioned that my MA dissertation had the potential to be published, Fashion Theory was my first choice. 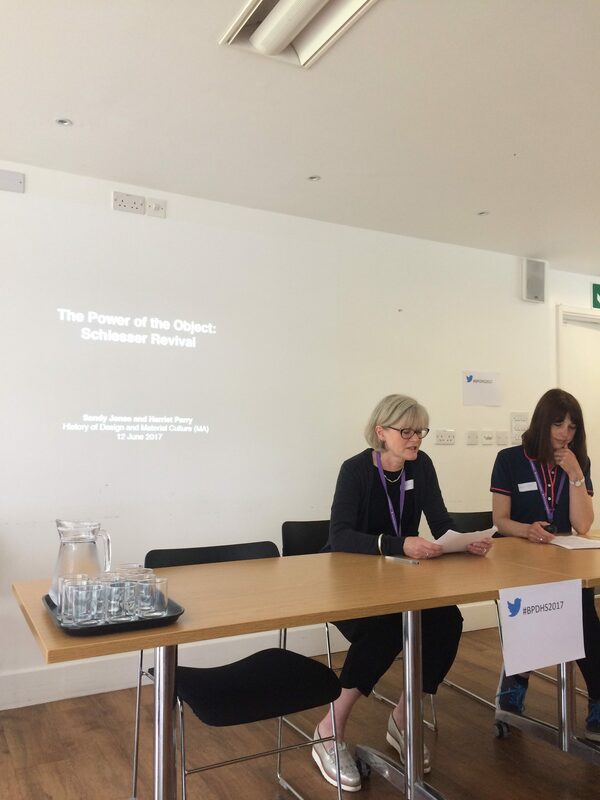 I knew that my research was a good fit for the journal, as it focused on Settle’s bodily presence as a key to access the knowledge required of her to be the editor of Vogue. The process for publication was straightforward. Firstly, I searched online the requirements for submission. Fashion Theory is now published by Taylor & Francis, and their website hosts a very clear section for authors, detailing all the key steps. Having gathered all the practical information – word count, referencing style, recommended font, and so on – I identified a few published articles with similar characteristics to my research. Reading them provided a compass to establish which parts should be kept and which should be discarded, given that my dissertation would have to be reduced to a third of its original word count. 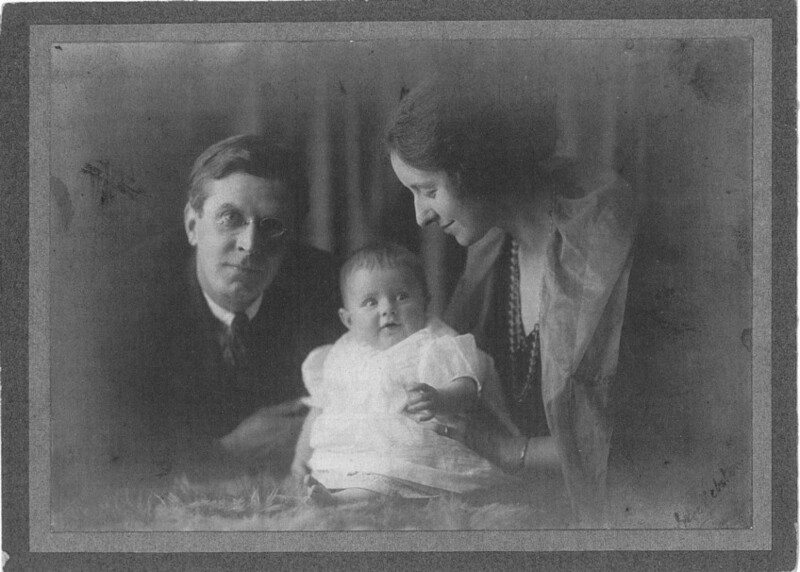 Alison Settle with husband Alfred and daughter Maggie, 1921. Private photograph from the Charles Wakefield Private Archive. Permission obtained from Charles Wakefield. The re-writing of my text took longer than I expected. 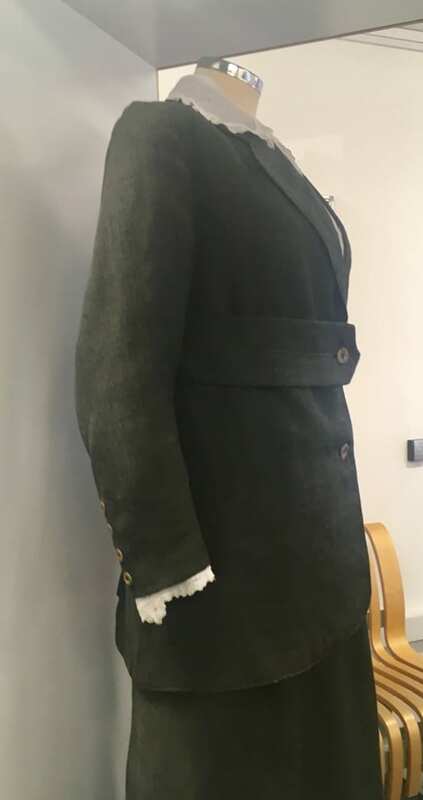 I had done a huge amount of detailed research on Settle’s life and I had been very selective on which parts should be included in my dissertation; for the article, I had to focus even more on the theoretical and critical aspects. Once I felt satisfied with the final draft, Professor Lou Taylor was kind enough to read it and confirm it was ready, as well as following up my submission by writing to Valerie Steele (the editor-in-chief of Fashion Theory) to introduce me and my research. Articles are subject to peer review, and I was surprised at how quickly I received feedback. I made most of the changes recommended by the reviewer and submitted my new draft, together with a point-by-point explanation of the suggestions I had implemented and those I had opted not to apply. For example, the reviewer had suggested cutting out Settle’s biography. However, I strongly believed that it would be important to keep it, because of the complete lack of information published on her life. So, although reduced, the chapter remained. The article was approved for publication, which happened very quickly. I was contacted by a team who supervised the proofreading and editing, requiring me to revise the text in detail and authorise further changes – changes related to syntax and grammar rather than content. And a couple of days after approving the final proof, I received confirmation that the article was published, with tips on how to broadcast the information as widely as possible. Overall, I feel that an essential aspect of getting published was the support I received from my tutor – first hearing that my work was worthy of publication, and then her advocacy on my behalf when I submitted it to the journal. It is very satisfying to know that now there is research published on Alison Settle. Through the laborious task of transcribing her journals, I had looked into names and places and events that made it possible for me to understand the complex web of relationships in her life, and through those, her personality and values. Of course I retain my research notes and findings, and the idea of one day writing, or contributing to the writing of her biography remains my ambition. Ten years ago I was a student on the MA in Design History and Material Culture. Having worked for many years, the process of returning to study as a mature student was a bit like travelling to a new place without recognising the language or terrain. Things had changed since my undergraduate days. As a result I was unfamiliar with what was expected; unsure whether postgrad study was for me and uncertain about how to use the scholastic resources that were offered. Should I be reading all the books on a reading list? Could I fathom the details of the required referencing system? How did I hunt down a particular journal article or discover which online sources might be most useful for my research? Of course, these feelings of uncertainty waned as the course progressed and my confidence in researching and writing grew. However, the questions related to my course and research continued; questions that did not always lead to answers but to ambiguity and complexity. 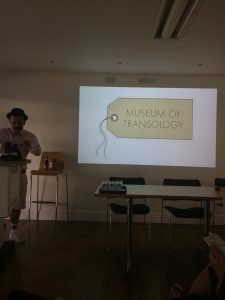 As well as encouragement from fellow students and the course tutors, one of the most significant support networks for me was the University of Brighton’s Postgraduate Design History Society (PDHS). The Society was a lifeline when I had questions and quandaries, needed suggestions for my research or just reassurance that others were facing similar challenges. It is a student run group of postgraduates, all at different stages of their studies, from novice MA students to experienced PhD scholars and early career academics. The Society (that was set up in 2005) offers a friendly and encouraging network – a place to go to with your questions, for example, what to include in a word count, how to deal with an apparent ‘dead end’ in your research. Straight away when I joined, I made friends, met with others interested in similar aspects of material culture and design history and was amazed by the diversity of our collective interests. We discussed our research and talked about future opportunities. A few of us met, for example, to read and share feedback on our draft conference abstracts. We went as a group to exhibitions and the theatre. 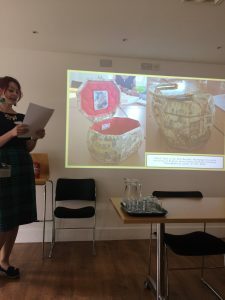 The PDHS provides a network to share information and advice, to welcome newcomers to the postgraduate world of Material Culture and Design History and to join together in academic and social settings. 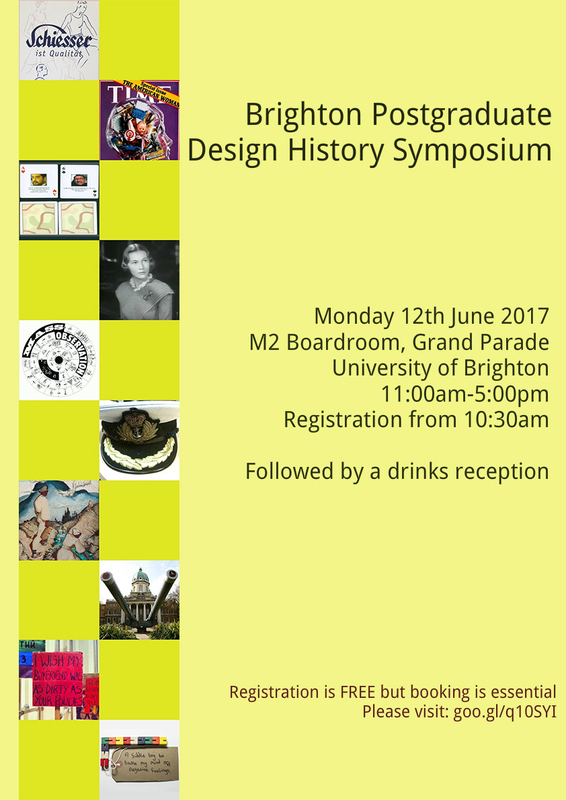 The glue that holds the Society together is the annual History of Design and Material Culture Postgraduate Symposium. 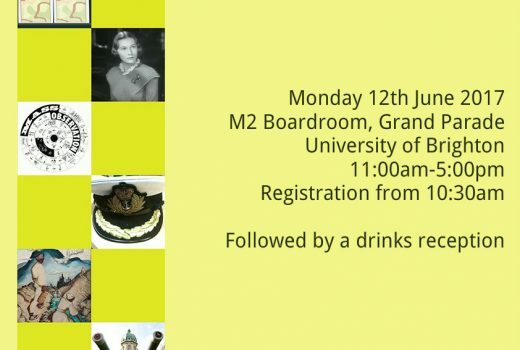 A summer event organised and delivered by students, it offers participants the chance to try out their conference skills and repertoire within a supportive environment. In 2008 I delivered my first conference paper on eighteenth century thread buttons following a rather unscripted set of notes, unaware that most people ‘read’ their presentations. Every year after that I got involved in different aspects of the Symposium, giving papers, taking email bookings, organising rooms, negotiating financial support, updating the website and chairing sessions. 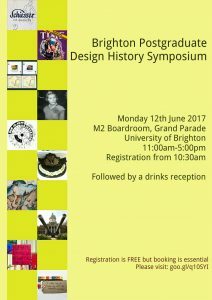 For me the MA in Design History and Material Culture led to a funded PhD at Brighton University that I completed in 2015. Many of those I met through the PDHS have become close friends, pursuing similar academic journeys or moving off in new paths. I hope that the group will continue to evolve and grow and provide the kind of support that I found invaluable during my postgrad years. 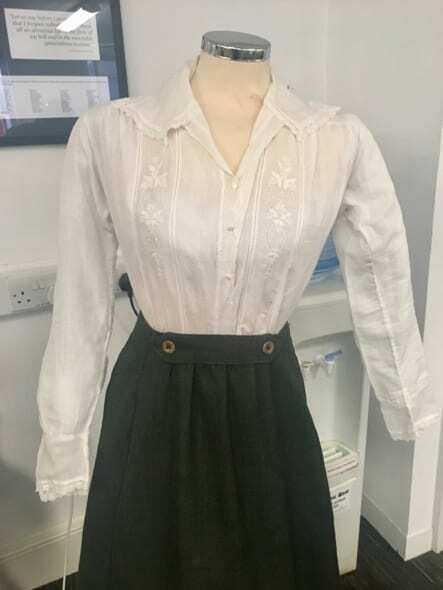 For my MA dissertation I have researched practices of dress in everyday life as presented within the Mass Observation Project Spring 1992 and Spring 2006 ‘One Day Diary’ directive responses. 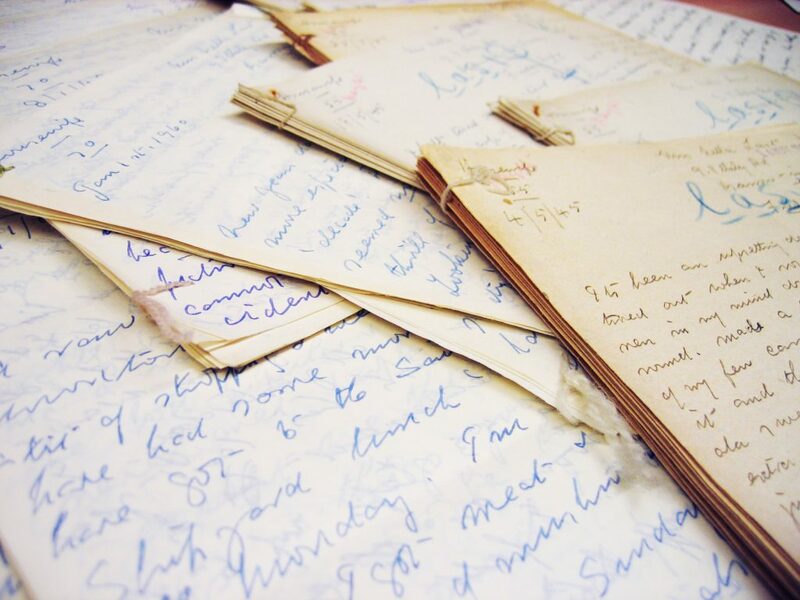 Housed within the University of Sussex Special Collections at The Keep near the South Downs in Sussex, it is made up of handwritten letters, typed emails, photographs and drawings, produced at the hands of the hundreds that make up the panel of writers known as ‘Mass Observers’. This material is divided into the Mass Observation Archive (1937 – early 1950s) and the Mass Observation Project (1981 – present). It is the latter Mass Observation Project (MOP) that I have been using in my research. The MOP defines itself as a ‘national life writing project’. Former director of the project, Dorothy Sheridan described it as, “…ordinary people observing and reflecting on everyday life…” (Sheridan, 2000:10). 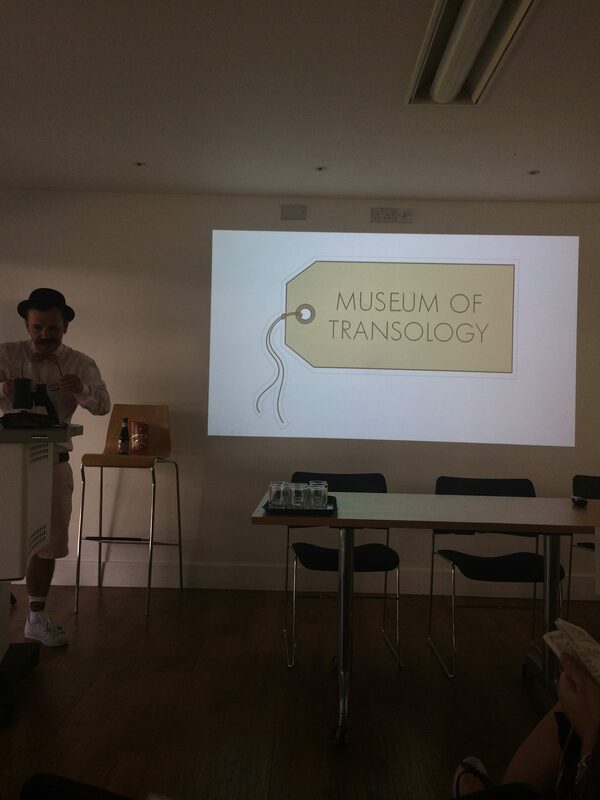 The intent of both the Mass Observation Archive and Project was to give voice to the ‘ordinary’ everyday person, giving them “the authority over knowledge” (Sheridan, 2000:10). Mass Observers are sent up to three sets of ‘directives’ a year with the invitation to write about a wide range of themes and events. Examples have included “Gardening”, “The Refugee Crisis” and “Your Home”. Figure 1. Responses to the Spring 2005 ‘Charles and Camilla’ Directive. Image courtesy of Mass Observation. My interest in the MOP came about during my first year on the MA History of Design and Material Culture at the University of Brighton. We were encouraged to use the MOP as a primary resource for a group project entitled ‘Interior Lifestyles’. Using the directives ‘Objects about the House’ and ‘Collecting Things’ we explored the relationships between the Mass Observers and the objects they decorated their homes with. Aside from the aforementioned project, the ‘New Years Eve’ and ‘One Day Diary’ directives that I had had the opportunity to look through particularly inspired me. As a researcher of dress and fashion in everyday life, here was access to narratives of real experiences of living, breathing people interacting with dress and fashion, rather than a constructed representation or media ideal. I therefore initially assessed these diary-format directives and developed my own methodology for using the MOP within a material culture study, ultimately leading to my dissertation research in practices of dress. 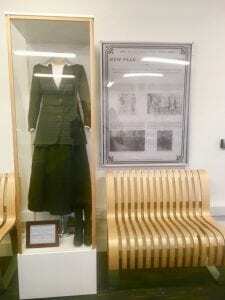 As well as being able to track the Mass Observer’s use of dress as they weave amongst different contexts throughout the narrative of their day, it has given me rare insight into the ‘wardrobe’ moment – the moment when which the bricolage of the visual self we see in more public spaces is created. 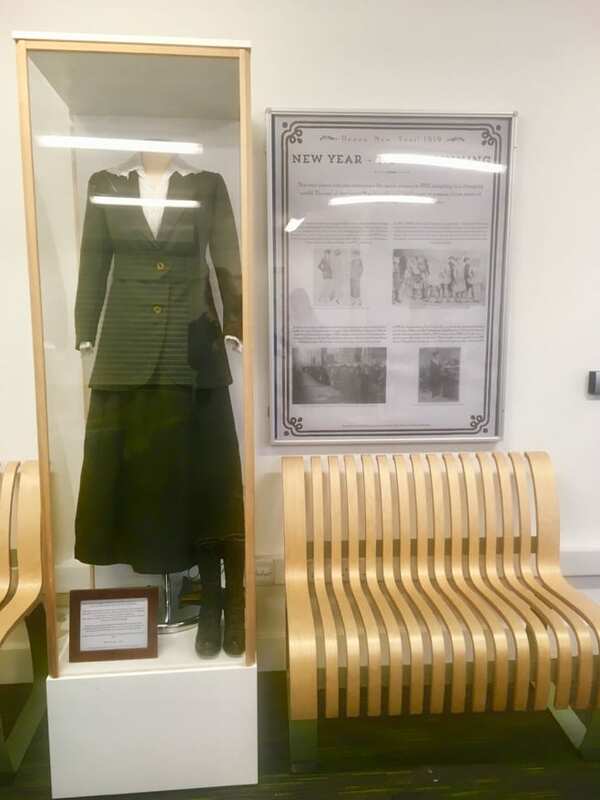 Through using Mass Observation, I have been allowed the opportunity to explore not only how people use dress in more public spaces, but also in move private spaces – whether that be their dressing gowns, pyjamas or nothing! Figure 2. 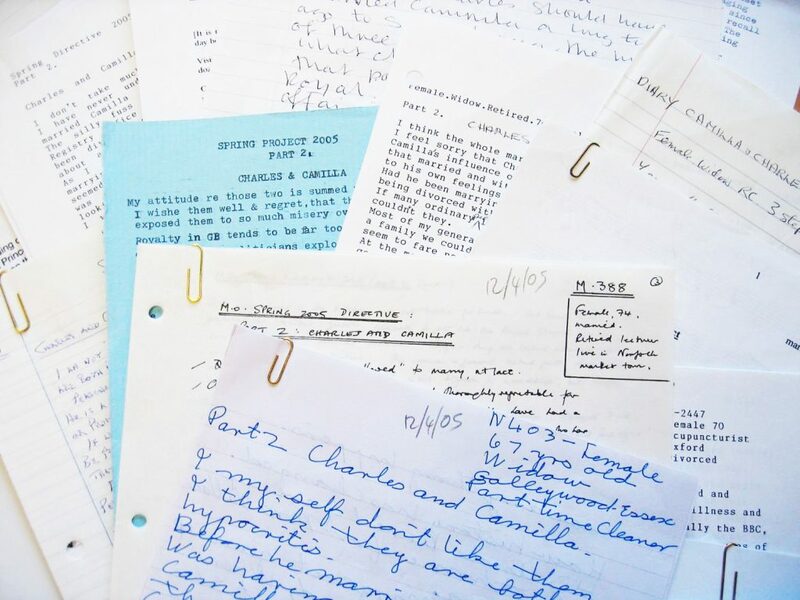 Examples of additional personal papers (including diaries and letters) donated to the project. Image courtesy of Mass Observation. Initially, I was overwhelmed due to the vast amount of material and its seemingly limitless capability for endless threads and tangents of research. By reading as much as possible about how other researchers had used the material, I was able to see that every Mass Observation researcher has shared the same struggles and frustrations. Through learning from their problem solving, I was able to tailor their theories to my research interest and develop my own methodology for using the material as well as providing a structure for sampling. With its interdisciplinary appeal the material transcends boundaries, making it an exciting resource that can always be further explored. Whilst students, academics, media researchers and the public have taken advantage of the unique collection – it is ultimately a treasure trove for anyone with an interest in everyday life. For a researcher of design history and material culture, it provides a rare platform to witness the reality of objects interacting in everyday life. Since I’ve been working with the material, the Mass Observation staff, and the staff at The Keep, have been incredibly helpful and approachable. There is an openness towards anyone that is interested in engaging with the material. As much as it may seem intimidating during an initial encounter, this should never prevent anyone that is interested from engaging with the material. Now more than ever Mass Observation provides an important platform for recording the reality of lived experience, giving voice to the micro-histories that grand-narratives have tendency to silence. It is inspiring to know as an individual in society, as well as a researcher, that there is a space for your voice to be heard and a space that seriously considers what you have to say. Working with a collection such as this is incredibly important if we are to understand the reality of how we negotiate lived experience and exist as a society and as individuals.